After losing her first husband, Garrett, it took her several years to get over his loss, with the help and comfort of her second love, Tristan. Now married a year to Tristan, Sophie can’t imagine a life better. But then Garrett comes storming back into her life, and determined to get his wife back, even though he has been gone all of these years. Sophie at first, knows where her heart truly lies, with Tristan. But being in such close proximity to Garrett again, has caused her to doubt her true feelings. But there is a danger lurking in the corners of her home, and with the help of Tristan and Garrett, she will try to uncover the truth…..and will find out who hold the key to her heart for once and for all…. Tristan, has always loved Sophie, even before his cousin married her. He has always known his feelings for her. When Garrett first wanted Sophie for his wife, Tristan to fight him on it, wanting all three of them to live in harmony. But now that he has married Sophie, he refuses to just let Garrett take his wife away from him. But despite the tense situation between himself and Garrett, he also knows there is something going on, something that is trying to undermine everything he holds dear, his relationship with his cousin, and the love he has for Sophie. Sophie, suffered for years after grieving the loss of Garrett. Even though she misses her first husband, Tristan has been the one she has been able to always rely on. Then when Garrett shocks them both with his return, and now Sophie has a difficult choice to make…but only if Garrett lets her. 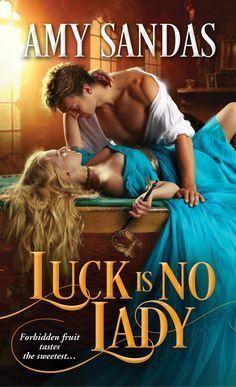 Even though she loves Garrett and he awakens a passion that once existed between them, she can’t deny her true feelings for Tristan, and how he made her believe in love again…. Even though for the most part part I found this to be a enjoyable story, it was my least favorite of the series. It might have been better if I had read it first instead of last, however I think it also had something to do with the love triangle that exists. I have to say I just loved Tristan, I thought he was the true hero….trying to fight for the woman he loves. Sophie on the other hand, wasn’t my favorite. I understood how you can have mixed feelings, but I just felt like through most of it, she wasn’t being true to Tristan, as much as I would have liked. Garrett, is a very complex character in this story, and at times you like him and at others you just wish he would go away. Although I did like the bit of suspensful portion of the plot, and the mystery that keeps the reader engaged in the story. I don’t know if I would have kept reading, if it didn’t have some positive aspects besides the love triangle. I will admit that there have been love triangles that I have been okay with, but this one seemed so forced and out of place, and wasn’t the most easiest of books to read due to certain circumstances. Although toward the end I really enjoyed the story a lot more. Overall a fun and enjoyable story with intense moments that keeps one involved!! !